Cecil Balmond examines the shapes that define three of the world's iconic structures, Stonehenge, the Taj Mahal and the Great Pyramid. Leading structural engineer and designer Cecil Balmond goes beyond the well known histories of three celebrated monuments: Stonehenge, the Taj Mahal and the Great Pyramid, to reveal the hidden geometry at their cores. 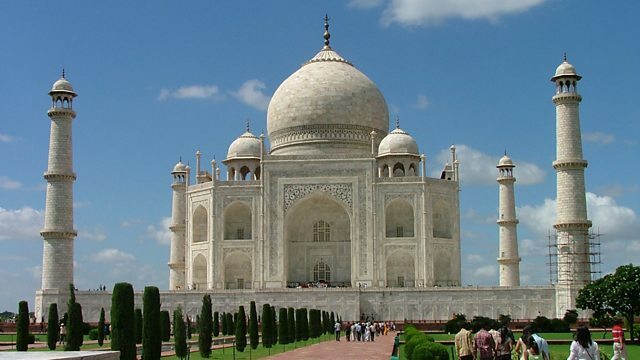 At each iconic structure he examines a fundamental form: at Stonehenge - the circle: the Taj Mahal - the square and the Great Pyramid - the triangle. Through the abstraction of these forms Cecil reveals the secrets that lie within their iconic design and discovers what these basic shapes can tell us about the sacred and religious, the spiritual and transcendent intentions of the buildings' architects. On a global journey across structure and shape, Cecil also explores how these simple forms influence our lives. From the earliest of times to our present culture, they have shaped our thinking in science, mathematics and design. Redefining our view of the familiar circle, square and triangle: this is Iconic Geometry.